Ranchi : Lalu Prasad Yadav and 7 others have been convicted in the famous fodder scam case that changed history of Bihar. Here is a complete timeline of the case. January 1996: The fodder scam came to light after deputy commissioner Amit Khare raided the offices of the Animal Husbandry Department and seized documents showing siphoning of funds by non-existent companies in the name of supplying fodder. March 11, 1996: CBI comes into action after Patna High Court ordered it to probe the matter. 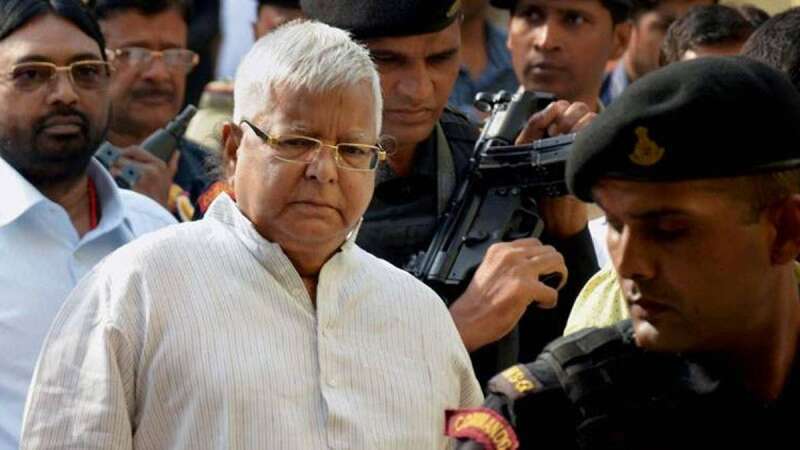 June 2007: The special CBI court in Ranchi sentences 58 persons, including two nephews of Railway Minister Lalu Prasad, to jail terms ranging from two-and-a-half years to six years for fraudulently withdrawing Rs 48 crore from the Chaibasa Treasury in the 1990s. December 23, 2017: A CBI Court found Lalu Prasad Yadav guilty and said that the quantum of sentence will be pronounced on January 3.